So Is Affiliate Marketing A Scam? There are many people who start affiliate marketing with high hopes and a lot of drive and passion, and that’s what you need! Unfortunately, it’s easy for that motivation to slow down as time goes by if you’re not seeing fast results. Affiliate marketing is not like a job where you put in a certain amount of time and effort and then get paid for it. What you are actually doing is building a sustainable online business where the effort you put in now pays you money down the road. 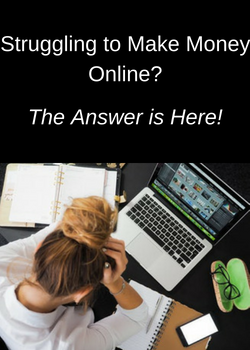 Many people expect to start making money in a few weeks or a couple of months, and that’s not realistic for someone who’s never created an online business before! It can take many months, or even longer, before your website gets the kind of rankings that will give you the traffic needed to make money. Why is that? Search engines like Google don’t rank new websites high in their search results because those sites haven’t proven themselves yet. Google knows that many websites are abandoned before they’re 6 months old. So they don’t reward young sites with good rankings until they show they’re still staying active. However, what this means for beginners is that they are going to have to stay motivated for an indefinite time without seeing results. Many, many marketers don’t understand this because they started without the right expectations. 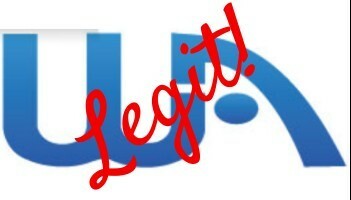 Then after a couple months, they quit, and they’re convinced that affiliate marketing doesn’t work–it’s just a scam! The real problem is that because of unrealistic expectations, these beginners didn’t trust the process! Building a website is a process that takes effort, commitment, and time. You need to build the foundation for your online business by following the process and doing the work. If you don’t give up, if you stay motivated and keep at it, if you trust the process, you’ll be a successful affiliate marketer! There are probably more scam programs in the make-money-online (MMO) sector than in any other industry. When you factor in the fact that most people starting out are inexperienced and naive, it’s a bad combination! Even after reviewing program after program designed to separate beginners from the money in their wallets, I still get amazed at the number of them out there. Many of them use the concept of affiliate marketing as the basis of their scheme. So it’s no wonder that people get taken in by these get-rich-quick systems and then wind up saying affiliate marketing is a scam! For a lot of people, the ability to make a living online would be a dream with huge benefits for their family life. In fact, some are desperate to find a way to be with their family more by working from home. I know–I used to be one of them! The creators of online scams know the kind of marketing tactics that draw in inexperienced and naive beginners. They convince them that they can make thousands of dollars online in a very short time by hardly doing any work! Once they sell their systems for a small charge, they rake in more money with expensive upsells and commissions from the programs the buyers sign up for. Buyers spend more and more money thinking that they’re going to get it back when the big profits start rolling in. None of these programs work, and no one makes the kind of money that’s claimed can be made. In fact, most people lose money, sometimes a lot. No one can blame them for saying that affiliate marketing is a scam after that! For more detailed information on how to find legitimate affiliate marketing programs and avoid scams, read Make Money Online Fast–But Beware Of The Scams! I started affiliate marketing as a beginner with no experience at creating a website and building an online business. After losing a lot of money in a scam years before, saying that I was gun shy is an understatement! But that bad experience had given me one good thing–I knew how to recognize a legitimate program when I saw one. 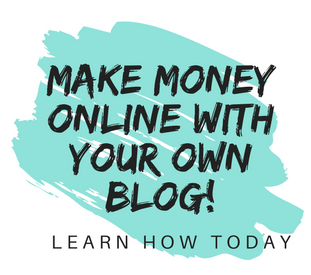 This platform has everything you need to become a success affiliate marketer, and I now have 6 websites in my online business. The platform is called Wealthy Affiliate, and in my full review I gave it a 4.8 out of 5 rating. They have world-class website hosting for a powerful, secure site, 1000’s of training modules, and an awesome community forum that’s unlike any other program. But the very best part is that you can join as a starter member for absolutely NO cost and see everything they have to offer–even create 2 websites! If the platform is right for you, their premium upgrade let’s you access all the live training, host 25 of your own domains, and much more for just $49 a month. It’s an amazing value, and they’ve created many successful full time marketers. Check it out below–no credit card required! Affiliate Marketing is a legitimate business model that many people use to make money online. But it’s not a get-rich-quick program, and you need a legitimate program to train and to host your websites. There are people who don’t stick with affiliate marketing or put in the hard work it takes to succeed. There are also many scam programs that promote their systems as affiliate marketing. But actual affiliate marketing is real, and for those who succeed, their income is unlimited! So if your dream is to make money online and work from home, start your first website below! Great write up!!! I was one of those newbies 9 years ago when I decided to give it a try. I put a time limit on how long I would give it and ifI did not receive results, I would walk away. I mad $54 in two months. But I was not happy with that, I did not see the benefit in staying with it and gave up. Nine years later I ran into the Wealthy Affiliate which preached the importance of seeing affiliate marketing as a long road to a future and not a get rich quick scheme. I definitely relate to getting to grips of trusting the process. Now I am back. Month in and I am going to trust the process this time. Thanks for the article. I’ve never had any of my websites make even $54 in 2 months, so you were doing great! I have no doubt that you’re going to make a success with your online business this time around–good luck, and I’d love to hear updates! Hi, Janelle, great article and I can agree on everything you are mention. I was, once, a scammed Marketer, only because I didn’t know anything at all, so I was the perfect target. I believed the “shiny object” they had put out and I was hooked. Luckily, it didn’t take long for me to understand that I was scammed and yes, I was ashamed that it did happen to me, at the time. However, I learned my lesson and I kept searching knowing there must be something out there where I can learn how to do online marketing the right way. This was the moment where I came along Wealthy Affiliate, this is now over 4 years ago and I never looked back. WA does teach you how to create your own website and how to become an affiliate marketer the right way. They also tell you that you have to pull your own weight if you want to succeed. No “shiny objects”. Therefore, in my opinion, no unsuccessful marketer. I personally followed their training and I know, if people are sticking to it and implementing it, in time, success will prevail. I know, I have 2 successful websites up and running and I never thought before that I will be able to do so. Congratulations on your successful websites! Sticking to the training, implementing it, and then letting the process work–this is what will make a successful online business. I know the feeling of being ashamed that not only did I fall for a scam, I cost my family a lot of money. But now I look at that money as paying for education and experience. I know how to spot a scam and when to stay away from a questionable program. The best thing, I also knew how to spot a great program with true value when it came along! Keep believing in yourself, and I wish you every success! Thanks for this information, its very useful. 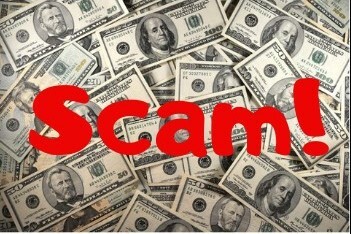 This article will help a lot of people who thing affiliate marketing a scam. I am an affiliate marketer and I know a lot about it, so affiliate marketing is not a scam. You have to be patient if you want to be a affiliate marketer because its not that you make millions in a week but slow and steady win the race. You’re exactly right, slow and steady definitely wins the race with affiliate marketing. It’s too bad that the only thing many people think about it comes from all the get-rich-quick schemes out there. Hi Janelle, thanks for an honest view of affiliate marketing. I also share the fact that it is a business not a get rich quick scheme. And it does take a lot of work, so doesn’t a building a brick and mortar business. You’re welcome! I try to review as many products as I can, focusing on the ones that I get in my emails mainly. I know that those are being actively promoted. I think my next one is going to be Secret Millionaire Bot, but stop back often as I usually do at least 1 or 2 reviews a week! Hey what’s up. My first answer to your question is NO! WEALTHY AFFILIATE is NOT a SCAM. The word scam means STILL CONFUSE ABOUT MONEY. So they have every reason to think this is a SCAM. They didn’t take the time to see if this program actually works and if you didn’t why spread false rumour about something they don’t know about and that where people run into trouble in thinking every online marketer is a scammer. I’m going to tell every one this who doesn’t know about Wealthy Affiliates to please don’t judge, get 100% proof then start talking facts. I’m glad you put this in the best way you can and for anyone who doesn’t understand please take the time to see for yourself. I just accept for the trip and I’m willing to put in all my time to get there. I’m not a coward and I don’t give up on something I truly deserved. Always keep up the positive mindest and you will see greater results. “Always keep up the positive mindset and you will see greater results.” I love that, and it’s so true about anything in life that you try! Nice work! I have been searching for an article regarding the process of Affiliate Marketing, so I can share it with a few friends and former co-workers. 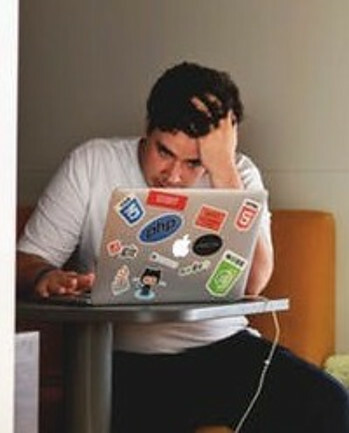 When I tell people that I’m an Affiliate Marketer, I get a lot of this:’It’s a pyramid skyme, Your being duped.’ Or ‘Can you really make money by doing that?’ It’s really disconcerting. But now, I have access to this article that explains quite clearly, how affiliate marketing works- and how you can get started with it. Bless you mate, for taking the time to write this! Keep up the great work. I will be back! Good luck with your business, and I hope to see you back! Hey Janelle,too good a write up and it has cleared so many of my doubts regarding Affiliate Marketing. I am definetly going to share with few of my fellow blogger friends who too had similar kind of doubts. Thanks. Glad you found it helpful and thanks for stopping by!